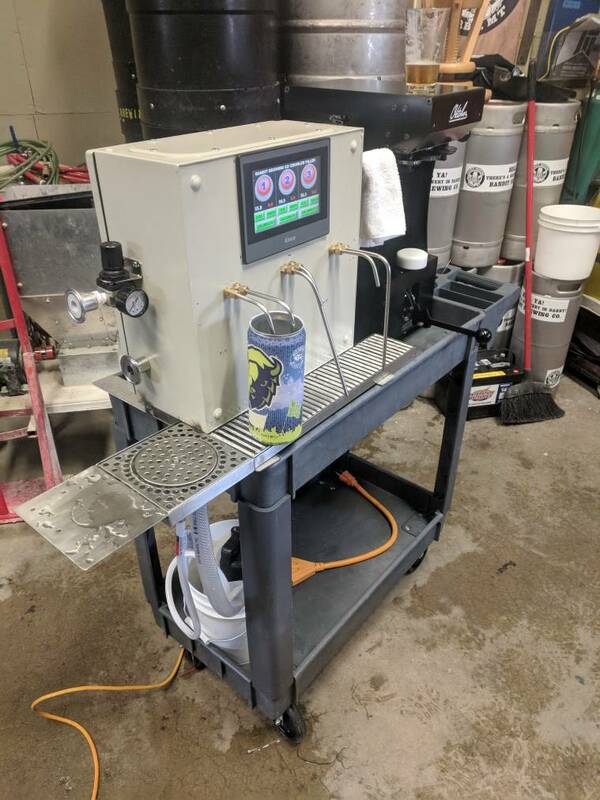 Just wondering if there were any recommendations for a crowler seamer, crowler cans and lids, and labels. We introduced Crowlers back in March. We spent some time researching before making our decision. We decided to purchase our seamer from Dixie Canning Co. in Athens, GA. It was between them and Oskar Blues. We chose the Dixie seamer because it is an industrial seamer and built to last. There is also the option to re-tool for seaming 12 and 16oz cans. We also like that it is a direct drive motor and the footprint was more suited for our small brewery/taproom. The maintenance is super easy and straight forward. We take apart the seam rolls and clean them weekly, and find little to no drift in the seam specs. The Dixie seamer is more expensive, but its reliability has justified the extra expense. We work with the Growler Station for our prelabeled Crowlers and we love their pricing. I have also seen the Oktober seamers, and I can appreciate their affordability and ease of use. Hope this helps. We have an oktober seamer. Very manual compared to the others. We broke an arm off one of the two seamers head assemblies at the thread. With heavy use the rod for the arm is a little too thin where it reduces down to the thread. We just used a long bolt of the same thread. Otherwise-. It's working great and well worth the money at $2,100. We batch can crowlers off the Brite before kegging. We run about 120 crowlers in just over an hour with two guys. Not high speed production but way faster than counter pressure bottling by hand. We built a simple 3 head filler. We crash the Brite to 29-31 the night before and increase head pressure 3 psi. We use a glass rinser assembly to sanitize each can then we Co2 purge then fill the cans. Three heads is manageable manually. We weight each can to insure a good fill, but normally you can visually see it filled completely. All told we are canning Crowlers with good shelf life for about $3,000. (can not included).